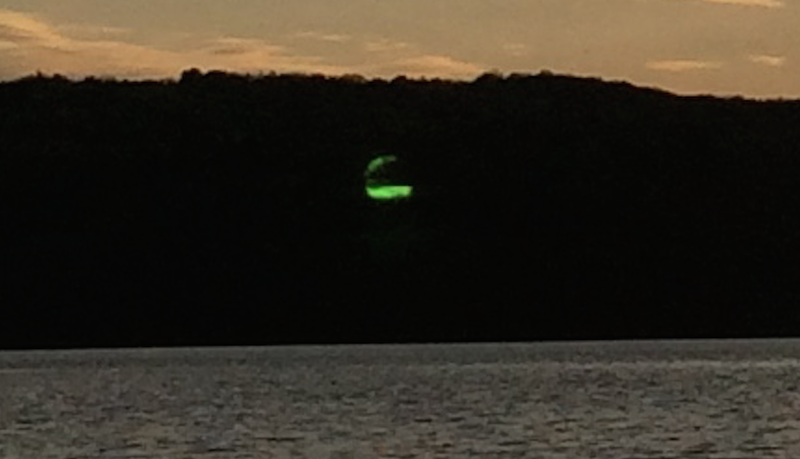 UFO SIGHTINGS DAILY: Green UFO Caught During Sunset Over Water Dam, Pennsylvania, May 16, 2016, UFO Sightings News. 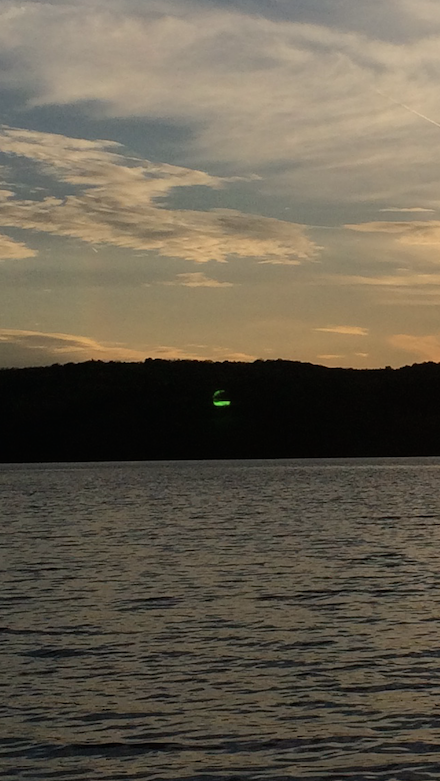 Green UFO Caught During Sunset Over Water Dam, Pennsylvania, May 16, 2016, UFO Sightings News. 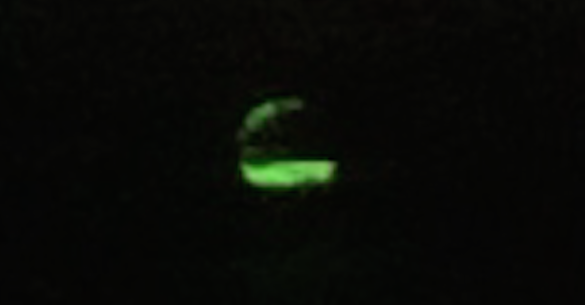 This photo was sent yesterday by a reader here at UFO Sightings Daily. The person was at a famous camping area at Quemahoning Dam, PA. The person took a photo during sunset and caught a UFO by accident hovering over the water. UFOs as I have said before are most often seen during sunset, due to the sun sitting at a 90 degree angle to the person so cloaked craft become visible for a few minutes. This one probably was caught exiting or entering the water. An awesome UFO photo. Quemahoning Dam. I took a pic of the sun going down and two days later I noticed a green dot in the pic. When I zoomed in on it, this is what was there. I never saw it while taking the pic.